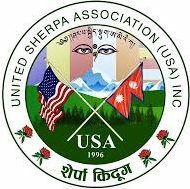 Facility Management – UNITED SHERPA ASSOCIATION (USA), INC.
United Sherpa Association owns a community center (Sherpa Kyidug) located at 41-01 75th ST, Elmhurst NY-11373. This facility is available for any community events except for politically motivated programs. The registration book shows more than 50000 people have utilized the facility for various programs organized in the last three years. The seating capacity of the present facility is 143 person in the basement and about 125 person in the 1st floor. The association is planning to upgrade the capacity of the current facility to provide better service to the rapidly growing population of the immigrant communities in the New York and surrounding areas. The upgraded facility located at a very convenient place will benefit more than 100,000 immigrants living in the region annually.